Please fill in the short form below with your question, either about the Suzuki ES1080, or for some technical advice. Please include details of your vessel if you feel they will help us answer your query. 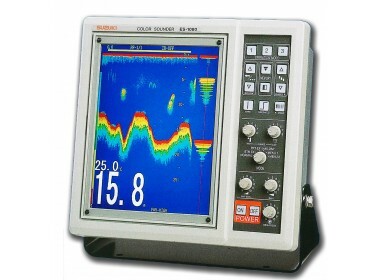 The ES1080 Echosounder from Suzuki is a single frequency echosounder with a 10.4" colour TFT screen. 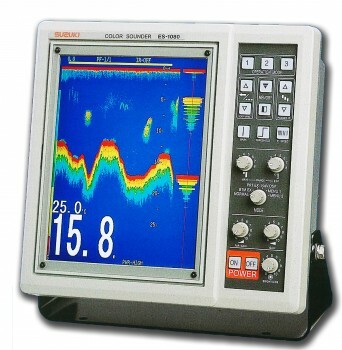 Suzuki's Flexible Frequency System (FFS), allows you to connect a new ES1080 to your old transducer, providing it is in good working condition, saving valuable fishing time and dry docking expense. 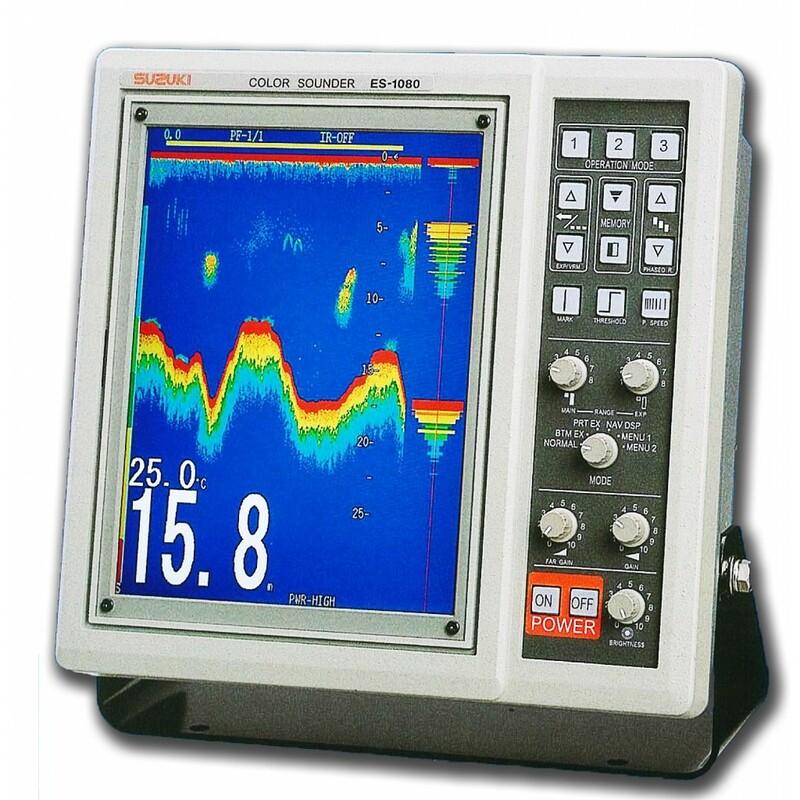 All you have to do is tell us the frequency of your old echosounder and we will program a new ES1080 in our workshop, test it and set it up to your preferred configuration, all at no extra cost. The Suzuki ES1080 from Echomaster should be your 'sounder' investment. Power Supply: 10-40v. DC 45W. Frequency: Programmable frequencies, (Single frequency only) 20, 24, 28, 38, 40, 45, 49, 50, 60, 70, 80, 150 or 200Khz. Phased Ranges: Up to 999mtrs. Functions: Auto Range, Auto Shift, Picture speed, Interference Reduction, Operation Mode A-Scope, Gain, TVG, Transmit Power, Pulse Width, Threshold, White Line, Data Memory, Colour Selection, Alarms, Draft.